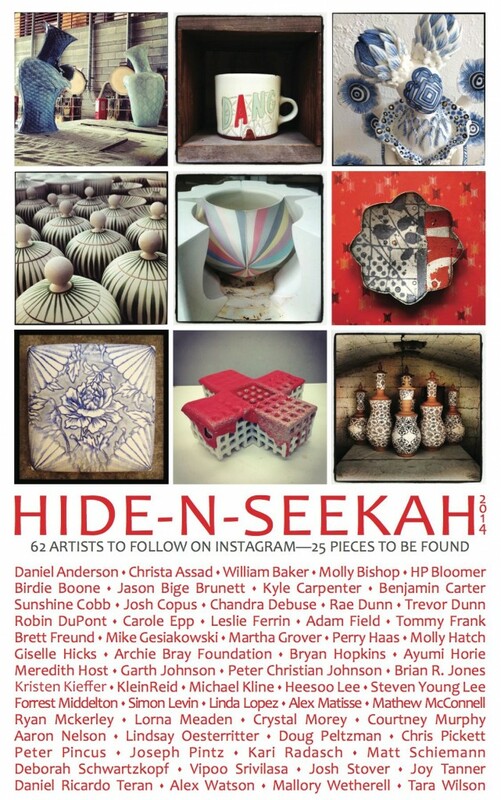 HIDE-N-SEEKAH is hiding 25 pieces of ceramic art in Milwaukee, WI during this year’s NCECA conference (March 19, 20, 21). Clues to find the pieces will be posted on artists own personal Instagram feeds. Which 25 of the 62 artists will be hiding pieces? Nobody knows!!! Search “hidenseekah” on Instagram and follow all 62 participating artists (tap “following” in the upper right corner of the HIDE-N-SEEKAH profile for the full list of artists to follow). Keep your eyes peeled for clue images on Instagram during NCECA. FINDERS KEEPERS!!! HIDE-N-SEEKAH is NOT an official NCECA event!